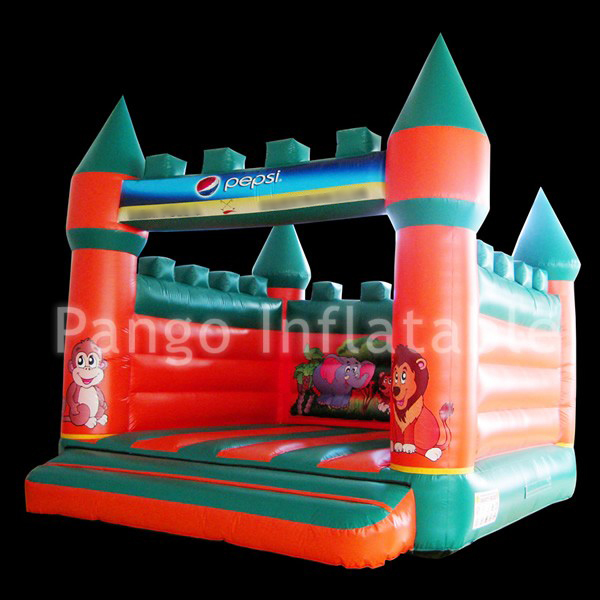 PanGo Bounce House and Castle are perfect for all size gatherings of friends! Classic styling and interchangeable art panels make the Bounce Products a must-have revenue generator for every family entertainment. Bouncing puts you in a state of health and fitness, improves your sense of balance, provides an aerobic effect for your heart, strengthens your muscles. The activity also increases the capacity for respiration, results in a better mental performance and comes in all your favorite shapes and themes!What are you waiting for? Please come and order our bounce house and castle.